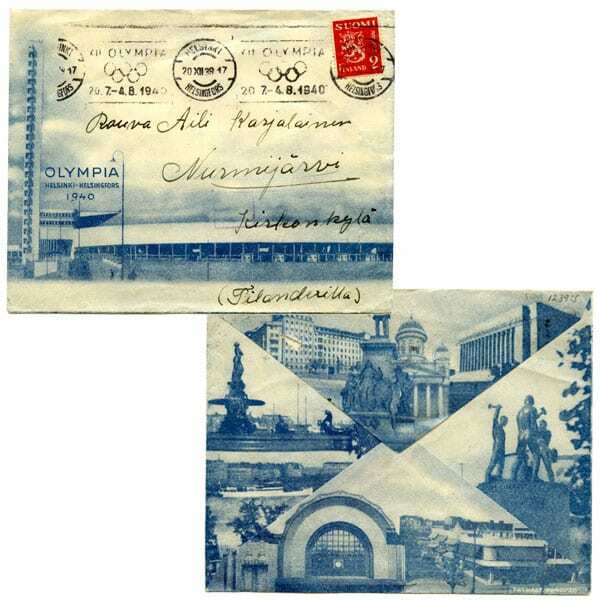 Description: Blue-shaded envelope featuring the Olympic stadium and its tower. The text: OLYMPIA HELSINKI -HELSINGFORS 1940. Full-length postmark in the upper edge. Red lion stamp on the right. On the reverse blue-shaded photographs of various Helsinki sights.